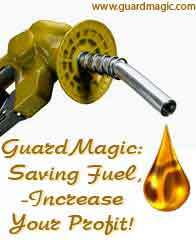 prevent fuel drain, fuel fraud and fuel manipulation. collects and stores information about fuel in cargo tanks or compartments for detailed analyzing. check the performance of the job or analyze the reason of job failure. 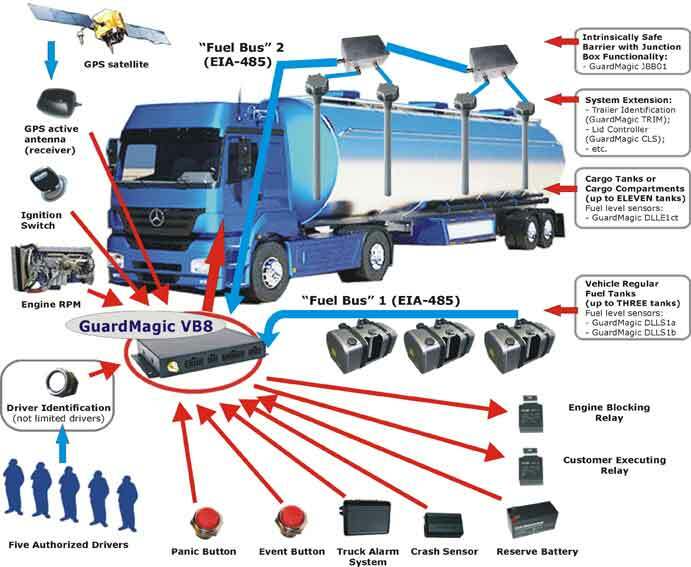 GuardMagic Road Fuel Tanker Monitoring System in a full automatically mode, "day & night" collects and stores detailed information about fuel cargo tank contents and tanker activity. Monitoring station, that storing received data from fuel tankers and analyzing received information.